Evelyn Hofer (1922-2009) was one of those photographers who took wonderful pictures but in a quiet way, she never acquired fame in the sense of taking art photos like many of her contemporaries. 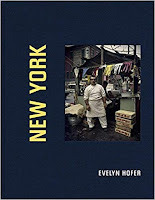 One of her specialties was photographing a city in conjunction with a writer, during the fifties and sixties there were books on London, Florence, Dublin, Washington and country ones covering Mexico and Spain. She took photos for the 1965 New York proclaimed, written by V S Prichett. I haven't seen that book but I assume there are several in this Steidl edition that appeared in the Prichett one. This new book has ninety-three photos (twenty-three in color) which show off the city between 1963 and 1981 and I thought some of the exterior architectural ones were particularly good (helped, of course, by 175 screen tritone printing to capture the detail) either rows of houses, office blocks, skyscrapers, roads and bridges. Hofer does a wonderful line in portraits, too, beautifully framed with the subject looking at the camera in a relaxed way whether it's an elevator man, garment delivery boy or a cop. 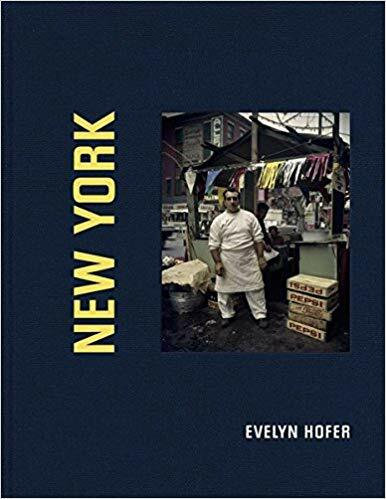 There are plenty of New York photo books but Hofer's pictures join those special few titles that capture the feel of the city with imagination and honesty.